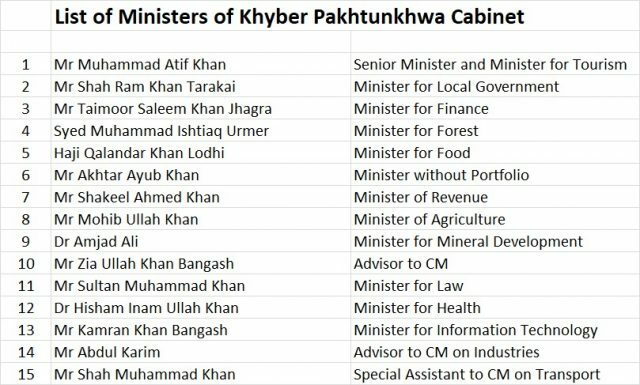 The Khyber Pakhtunkhwa government has announced names of the provincial cabinet members and their portfolios. KP Chief Minister Mahmood Khan finalised the names after consultation with Prime Minister Imran Khan. 1. Muhammad Atif Khan will serve as the senior minister and minister for tourism. 2. Shehram Khan Tarakai has been made the minister for local government. 3. Taimoor Saleem Khan Jhagra is the minister for finance. 4. Syed Muhammad Ishtiaq will be the minister for forestry. 5. Haji Qalandar Khan Lodhi has joined the cabinet as minister for food. 6. Shakeel Ahmed Khan will manage revenue affairs. 7. Mohib Ullah Khan will take charge as agriculture minister. 8. Dr Amjad Ali is the minister for mineral development. 9. Zia Ullah Khan Bangash will be the advisor to CM Mahmood Khan. 10. Sultan Muhammad Khan is the new law minister of KP. 11. Dr Hisham Inamullah Khan is the health minister. 12. Abdul Kareem will be advisor to CM on industries. 13. Shah Muhammad Khan is the special assistant to the CM on transport. 14 Kamran Khan Bangash will get the portfolio of IT minister. 15. 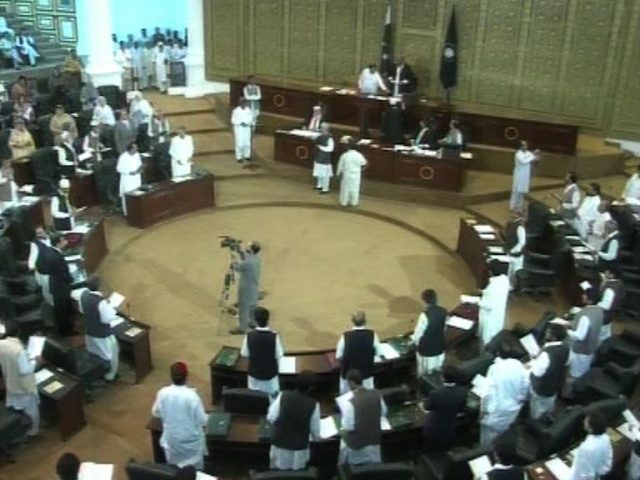 Akbar Ayub Khan is minister without a portfolio, which will be decided later.